One of the most common iTunes errors is an error when your iTunes can’t sync anything and you get a message that apps installed on the iPhone couldn’t be determined. This problem can also occur on iPod Touch devices. The iTunes cannot sync error is common for both Mac and Windows users when they are trying to sync your iPhone either using a cord or wirelessly. Sometimes the error occurs when you try to sync for the first time, but sometimes it can start happening out of the blue even after several successful syncs. Here are some tips that should help you fix the iPhone sync error. Reboot your computer for good measure. Outdated iTunes can be the cause of this problem. 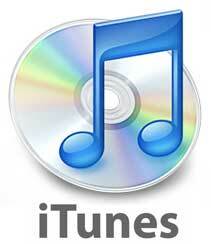 Make sure you have the latest version of iTunes and try to sync again. If it still doesn’t work, try updating all your apps as well and make sure you do it in iTunes. Sometimes you’ll need to download all your purchased apps again, which takes time and is very annoying. But at least it often fixes the error. Another thing that can help you fix the problem is disabling automatic syncing for new apps. To do that, go to the Apps tab in iTunes, uncheck Automatically sync new apps and apply the changes. This will start a manual sync. When it’s done, everything should be back to normal and you can re-enable automatic syncing. Hopefully following these tips will help you fix the iPhone sync error and you will be able to sync and back up again.